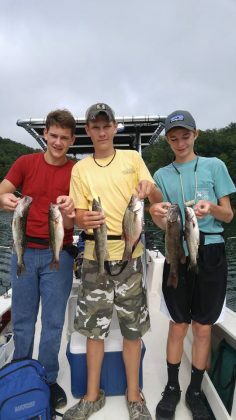 Up-Close Outfitters has been busy on the lake Fontana. The bass are staging great on secondary points and up the rivers. 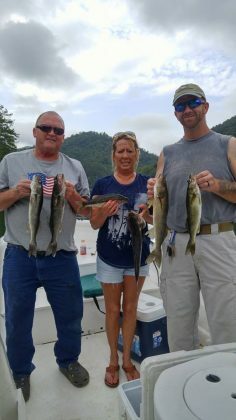 NC Walleye fishing has been ok on the troll with a good mixed bag of white bass on the fishing trips. 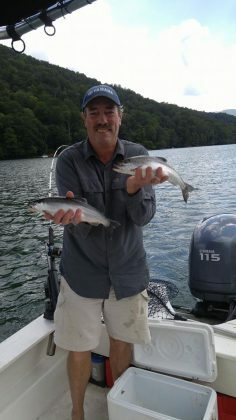 Capt James has been bringing in great numbers by casting and trolling lately. 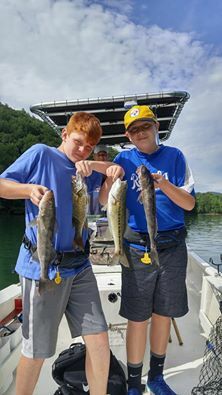 With the amenities of Bryson City and the beauty of the Smokey National Park it is hard to beat a fishing trip to Fontana Lake this time of year. Book today for August! 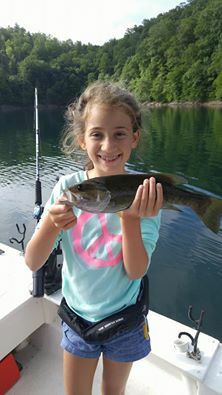 Fishing will be getting better and better as fall aproaches.